Stay at our centrally located peaceful accommodation nestled in a park-like setting on the water surrounded by native bush. Experience the best of the Bay of Islands from our centrally located Paihia accommodation, situated on a tidal cove within easy reach of the Bay of Islands' top activities and attractions. 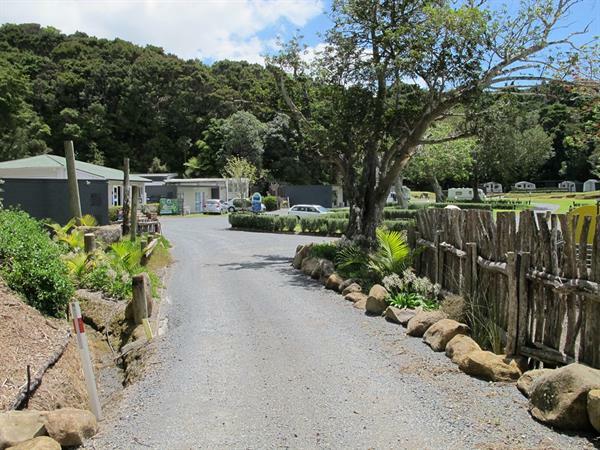 Paihia TOP 10 Holiday Park offers a wide range of accommodation options to suit your needs from self-contained cabins, to camping sites for tents, caravans, camper vans, and motor homes. Looking for accommodation for larger families or groups? Our Holiday House is perfect and can accommodate up to eleven guests. Contact us today to make the most of your visit to one of New Zealand’s top holiday destinations. Completely unwind in our 1 Bedroom Superior Cabin with all the creature comforts you need to enjoy your stay. Bedding configurations are 1x Double Bed, 1x Single Bed (same bedroom). Enjoy a classic holiday park experience and spacious rooms without missing out on the extras in our 2 Bedroom Cabins, perfect for families and groups. Set up a home away from home in our Family Cabin. Comfortably sleep up to 5 guests in 2 bedrooms. There's space for the whole family with 4 Family Cabins available. Sleeps Up to 5 Guests. These economical one room studio cabins feature a small kitchenette and can comfortably sleep 3 guests. Enjoy the freedom of being self-sufficient. Make the most of your camping holiday with our wide range of camping sites. Choose between grass, waterfront, hard, powered and non-powered sites. Sleeps Up to 2 Guests. Stay with us and find the perfect spot to set up your a caravan, camper van, or motor home and enjoy the serenity of our waterfront holiday park. Enjoy the classic kiwi bach experience in our only Holiday House, sleeps 11 guests over 2 storeys and has everything you need for a perfect getaway. Sleeps Up to 11 Guests. Room servicing is an extra charge ensure you have selected this in the room extras section. We reserve the right to change the site or room within the class of site or room without notification. 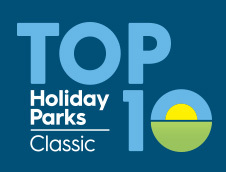 Paihia TOP 10 Holiday Park has strict guidelines to control loud, drunken and disorderly behaviour. The Park also has a 10pm - 7am noise curfew. Where in our opinion the above behaviour or noise rules are not adhered to, we reserve the right to cancel the booking without refund of any kind, this will be done after 1 warning only. All prices quoted are in NZ $ and include GST. The total amount is payable time of booking, except where check in date is more than 30 days where the deposit payable is 50% of the total booking, the balance is payable on arrival. Late check out will incur an extra fee of 20% the room or site rate per hour or part thereof. If you need to cancel, this can only be done by e-mail please quote your reservation confirmation number. A 15% cancellation fee will apply to cancellations 72 hours or more before the date of arrival. No refunds will apply to cancellations within 72 hours prior to the date of arrival, or where otherwise stated. 24th December to 3rd January, Auckland Anniversary Weekend, Waitangi Day, Easter, Anzac Day, Queens Birthday Weekend. Labour Day Weekend. Accommodation is non-refundable and non-transferable should guests decide to alter or leave before their scheduled departure date. Some promotional booking may be totally non-refundable, this will be clearly identified in that booking section. This may apply to early bird mid-week or weekend special deals. Bookings made via Booking.com a 10% non-refundable deposit will be taken at the time of booking; the balance will be deducted from the card supplied 14 days prior to the arrival date.